You don't want me drawing anything... trust me! I'm definitely not what you would call an artist. But I'd be happy to provide photos and/or technical information to anyone who is up for doing the actual drawing. I have not had the time to put into this project, however, I am going to share something I have worked on so far with the hope that someone can expand on it. Attached are 2 zip files. Both contain generic templates of Raven's old locomotives that have been re-aligned and have headlight positions and ditch lights appropriate to the locomotive, era, and manufacturer. Each of these templates can serve as an accurate stand in for a ton of different models. I completed 26 thus far ranging from the GP38 in 1966, the B23-7 in 1977, and the ES44AC in 2003. The main thing I notice with these is that these all appear to be identical to each other. And they're all way too short front to rear. The EMD 6-axle model is noticeably too short (it's the same length as the 4-axle one, though this is definitely not the case in the real world). All of the 4-axle units from the GP40 on up are 59'2" overall length. The 6-axle units are noticeably longer... the SD40 and SD45 are 65'8", the SD40-2 is 68'10", and the SD50, SD60, SD60M, and SD70 series are all 71'2". The EMD units all appear to have radiator "wings" like a GE Dash-7. All EMD units (except the SD45 and later versions of the SD70) have radiator grills which are flush with the sides of the hood. The SD45 and later SD70s have radiators which are slightly flared. The only EMD models with anything remotely resembling "winged" radiators are the SD80MAC, SD90MAC, SD70M-2, and SD70ACe. The "widecab" models appear to have standard cabs just like all the others. The GE widecab looks, to my eyes, like a cross between a U25B and a B30-7! I really wish that I had some artistic talents to be able to create some new models for us. But I just don't. I mean, I can do re-textures for Microsoft Train Simulator models, but as far as drawing a perspective 3-D view from scratch, that is way out of my league. These locomotives are all the same length, probably by design to fit within the standard length parameter. Aside from some older SD20 units, what you see in those zip files are all that was left by Raven for the post 1965 era. If you can paint new models, please go ahead and do it; in the meantime we have these stand-ins available that can always be replaced later as new ones are painted. In pak64, I've noticed that some of the models vary a bit from the standard length parameter in the interest of accuracy. Would it be possible to do that in pak128 also? It would be so neat to have an accurate SD50 or SD60... those things are a beast! 71 feet 2 inches long... they dwarf just about everything else out there (except the UP 6900-class DDA40X "Centennial", of course). And different sizes and types of freight cars... from 2-bay covered hoppers for cement and 40' tank cars for corn syrup, on up to 89' auto racks and hi-cube boxcars. I really wish I could paint new models, but I just don't know how to visualize a 3-D object in 2-D in order to be able to create it. But if someone has the talents that I lack, I would be happy to provide technical data, photo references, and consulting during the design phase, if need be. And how about semitrailers? We could definitely use more of those as well; especially a 48' or 53' dry van. Would it be possible to do intermodal operations, where semitrailers can be loaded on flatcars for part of the trip, then unloaded and driven onward to their destinations? You don't have to, in fact hardly anyone does it that way. Most make a 3d model (in blender for example) and render it. I am looking forward to seeing those locomotives finished - and not only them. I wish someone made also some other ones, for example HHP-8 or Genesis - and of course, what is important too, some passenger and post cars. If you have a 3D model, how do you rotate it to the correct angle so that it renders properly for the game? Most 3D viewers that I've used allow the model to be freely rotated by dragging the mouse rather than entering a specific angle or set of coordinates. And how do you eliminate the perspective so that the parts of the object that are farther away do not appear smaller? Edit: In blender you have dialogs to set the rotation angles. Also, you can render isometric instead of the usual perspective view. there's a blender tutorial somwhere here in the forum, i can't find it at the moment. perhaps someone else can point you to it. the ever popular bombardier bi-level coach (octagonal) and EMD F59PH or MP40PH series engines. How detailed does the 3D model have to be in order for it to look good in Simutrans? For instance, if I were to build a Center Flow covered hopper, would I have to actually build out the slight convex shape of the sides, and model all of the structural bracing and ladders and grabirons and stuff? This is an example of what I'm talking about... an ACF 5800 cubic foot Center Flow, with pneumatic outlets. This has been the standard car for hauling plastic pellets in the US since the 1970s. I just happen to be working on some 3D models of rolling stock and I can show you the detail I have in my model and the results. You really don't need much, the basic shape is good. I then add in the details with a pixel editor (graphic program). You can see the model I built in SketchUp, the exported result, and the detailed version. Since the image is so small, even for 128, It's not worth it to add to much detail to the 3D model as you just have to fix it in the flat image (export/png or whatever you want to use). if any of you need more pictures of rail stock, I can readily take pictures from ground level and slightly overhead. Checksum, that looks very nice! Perfect for grain service! So, when you view the model in 3D, what rotation angles do you use to orient it correctly in Simutrans? And, when we measure the size of a model in pixels, how do we do that? Is the measurement taken directly across the image (on the x/y axes), or along the length of the model itself in the perspective view? How is the accompanying .dat file laid out, and where is the program that takes the .png and .dat files and creates our pak files? Thank you! I'm working on a few others as well. This 'template' file has the angle set up so model is at the correct angle in relation to the model. I then just rotate the model/object to create the 2, 4 or 8 views, instead of the camera. If you download/use the template, I recommend the first thing you do is to "Add a scene". This makes a snapshot of the cameras position so if you change it accidentally or intentionally, you can jump back to that view. (by the way, it is nearly impossible to set the camera angle by hand). Once you add the new scene, and before you start copying in your models, save the template with the added scene and make a backup too. Some people surely render their models with a different application (sketchup doesn't truly render). However, sketchup does a decent job of a low quality render, so you can just export what you are looking at to a PNG. I currently just use the pseudo-render Sketchup makes and edit it with a pixel editor from there. If you want more pointers on SketchUp, let me know. There are 1 or 2 free application that will make nice renders also. And I can point you to a free pixel editor for Mac OS if you want. If you plan on using blender, someone else will have to step in here because I don't use blender (I've tried but to me it is not nearly as intuitive as sketchup). I'm not sure what your question is. In the 3D world, nothing is measured in pixels because 'pixel' is a screen resolution unit. A 3D model is independent of that measurement, except for how it is displayed on your screen. When you export a flat (2D) image (or render it), the output will have a size in pixels that you can further manipulate. I usually take the template and use that as my base layer, paste in the pngs I created from SketchUp and then align and adjust the length manually to match the template. This will give you the basics. I would find an existing .dat file that is similar to what you want to create and edit it to meet your needs. There should also be a number of forum posts on this topic. And while I'm here, attached is the set of freight vehicles I've built so far (models anyway). How about some new grade crossings for pak128.USA? If it's possible to have different styles of crossings depending on the type of road surface, maybe we could do plain crossbucks for dirt and gravel roads, then move up to flashers, then flashers with gates, then flashers mounted on overhead cantilevers for the higher classes of road. And will there be a different type of road to replace the cobblestone road since these aren't used in the US? If so, I'd like to propose gravel on tar... this is still a paved road, but is cheaper to construct (and rougher) than blacktop. It's typically used for minor county roads, as an improvement over gravel. @railfan do you mean chip seal? that stuff is terrible, but extremely cheap compared to a proper pavement. I'm not sure what chip seal is... what I'm talking about is when the road crews spray hot tar on the road, then roll fine gravel into it. Once this type of pavement is laid, it's often 30 years (or longer) before it gets re-surfaced again (except to fill potholes). This type of pavement is seen on minor roads in rural areas. My understanding is that only 1 crossing is permitted per way type. i think there's something in the pipeline. Nice - but they are like from comic paks. Seems unfinished. They need just shadding and noise. just need to turn off edges and edge profiles. yes, this is just a view from SketchUp, not intended to be close to final. @AEO, what freight cars are you hoping to see. You're welcome to send photos of any other types that you think would make a good addition to pak128.us. I would suggest some variations and legacy stock on top of what railfan has listed. variations are the easiest and you can get pretty creative with them. like the tanker car for instance. There are ones with some aerodynamic fairings, 3 domes on top, 2 domes, etc. for autoracks, lumber and flatcars, there can be extended variations. I think the longest ones are 89ft long. Legacy stock would obviously be shorter. And then there are the articulated cars. Well cars http://en.wikipedia.org/wiki/Well_car , automax autoracks http://www.californiatrains.com/wish_you/vol_01_tehachapi/28_automax_woodford_090404.jpg and http://en.wikipedia.org/wiki/Schnabel_car come to mind. Although, there's really no use for schnabel cars at this point in time. Photo references are available at www.rrpicturearchives.net. They're categorized by car type, then by reporting mark. For instance, to find autoracks, you would go to the home page, click on "Rolling Stock" in the menu at the left, then "Autorack" at the top of the list. 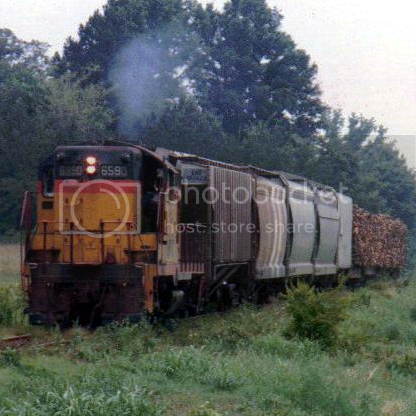 There are (as of this writing) 2,163 photos of autoracks on the site. These include standard enclosed bi-levels and tri-levels, as well as articulated Gunderson Auto-Max and Thrall Articulated Bi-Level cars. For cars on TTX-owned flats, note that ETTX reporting marks represent tri-level racks, and TTGX is for bi-levels. Bi-level racks sacrifice one level in favor of higher inside clearances and are used for SUVs, light trucks, and vans. Otherwise, the two types are virtually indistinguishable externally. All are 89 feet long and either 18'10" or 19'0" tall. 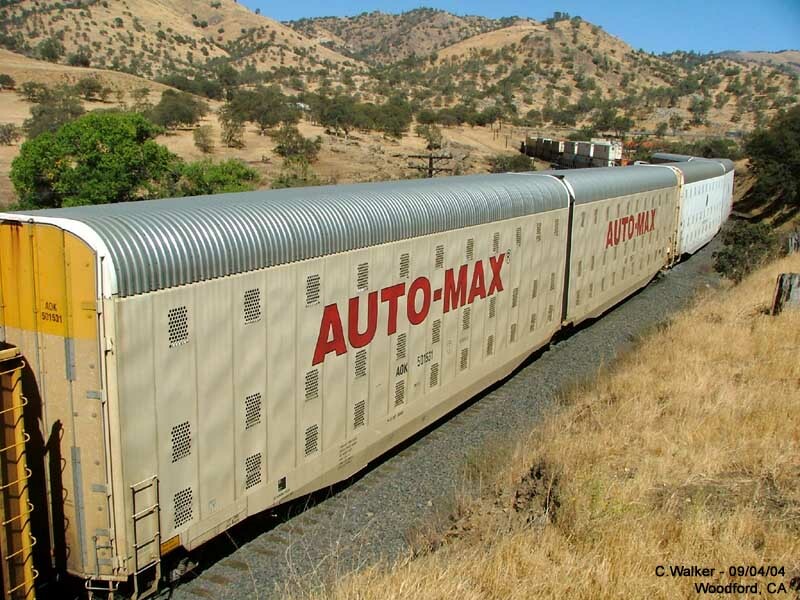 There is another class which is 20'2" tall (TTQX) and these are tri-level cars used for larger vehicles, though not all railroads have sufficient clearances to handle these cars. Please be aware that rrpicturearchives.net is almost exclusively modern equipment photographed within the past 4 or 5 years or so. 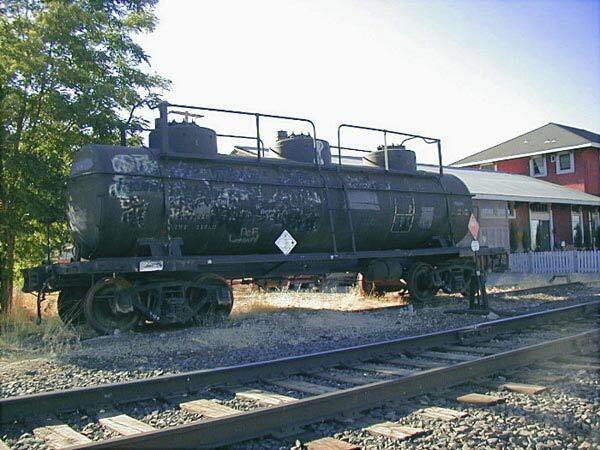 For older equipment, www.rr-fallenflags.org has a fantastic selection of bygone railroads and obsolete car types. It's laid out quite a bit differently, and everything is grouped by railroad name. @checksumdigit - Are you considering any locomotives by any chance? Since I've never done renderings before, I want to sit back for a while and see what everyone else does, then if need be I'll consider learning how to use Sktechup and/or Blender and try and help fill in any gaps. Also, we'll be needing an assortment of US-style trucks and semitrailers (though we could probably use a few straight trucks for smaller shipments or for companies just starting out). i view that´s working on the pak128.usa be beging. it´s possibel too get this zipfile please? You know, English is not that easy language. So, does that zip file only contain roads? Has any of the other pak128.USA material (buildings, vehicles, etc.) been released yet?